Last week, the Enhanced Nurse Licensure Compact officially went into effect, yet another healthcare industry development with the potential to dramatically increase access to telehealth services (along with the recent decision by the CMS to allow physicians to bill separately for certain remote care services). Allowing nurses to practice in multiple states with a single license, the eNLC, as it’s also known, doesn’t just improve career prospects for the nation’s hard-working nurses. It’s also a direct acknowledgement of the need to better utilize telehealth technology to increase access to care across the United States. However, this crossing of state lines has also served as a major impediment to wider telehealth implementation in the past — most often in the form of denied Medicare reimbursement or restrictions against clinician licensure. Lawmakers and government organizations are actively working to correct the reimbursement problem, introducing (and increasingly passing) new regulations on the state and federal levels. The Enhanced Nurse Licensure Compact works toward the same goal as that original compact, of simplifying the licensure process and facilitating more efficient cross-border movement. It does so while also acknowledging that telehealth is now a major benefit of that simplification. The original compact was approved by 25 states; the new, enhanced Nurse Licensure Compact already has 29 member states — including most of the original list, and a growing number of new ones. As of January, 2018, the list of eNLC member states includes Arizona, Arkansas, Colorado, Delaware, Florida, Georgia, Idaho, Iowa, Kentucky, Maine, Maryland, Mississippi, Missouri, Montana, Nebraska, New Hampshire, New Mexico, North Carolina, North Dakota, Oklahoma, South Carolina, South Dakota, Tennessee, Texas, Utah, Virginia, West Virginia, Wisconsin, and Wyoming. In addition, eight states — Illinois, Indiana, Kansas, Massachusetts, Michigan, New Jersey, Rhode Island, and Vermont — are currently pursuing membership. As such, the number of member states is expected to grow; for a current list, check out the NCSBN’s continuously updated eNLC page. Nurses licensed in one of the states under the original compact will be grandfathered into the eNLC. “Although these nurses may skip the licensing process in the eNLC states, they still must follow the laws and nurse practice act of each state where a patient is located,” writes Carolyn Buppert, MSN, JD for Medscape. Nurses in states new to the eNLC must complete a new license application within their state to obtain a multistate license. Gypsy Nurse offers a helpful overview of what else nurses should know regarding eligibility and the application process. 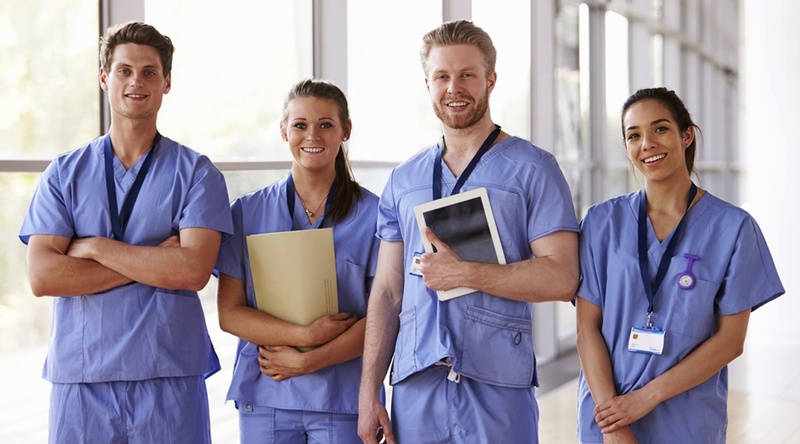 As an effort to consolidate the multi-state process for licensure, the nurse compact has parallels in the Interstate Medical Licensure Compact for physicians, and the Physical Therapy Licensure Compact. Both went into effect in 2017; neither have the scope of the eNLC, but are still in the process of evolving and actively adding member states. Beyond their potential to expand the availability of telehealth services, these compacts also serve to broaden the career prospects of nurses, doctors, and other clinicians by allowing them to more easily accept career opportunities (temporary or otherwise) across state lines. And with some states suffering from particularly severe shortages of caregivers, this increased mobility, like telehealth, has the potential to provide greater access to care for the parts of the country facing the greatest need. Interested in learning more about how to leverage telehealth technology to expand access to care? We invite you to contact us today to schedule a complimentary consultation with a Care Innovations® telehealth expert.